A young American woman visits İstanbul, interviewing interesting characters in both popular and out of the way settings, about topics we have all wondered about. The best belly dancer in Turkey, a masseur at a public bath, and one of the richest women in Turkey are among the colorful people interviewed. 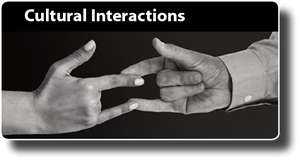 The interaction with a large cultural cross-section of local people provides a rich intercultural experience. The selection of interviewees and the questions asked are based on Serif Yenen’s 25 years of experience as a tourist guide and travel writer. He anticipates the interests and curiosity of true travelers from his extensive field experiences. These interviews give insight to the culture and its philosophy. During my professional life as a tourist guide in Turkey, one thing has become very clear: Visitors do not like to be called "tourists" nor do they want to be treated as tourists. The idea of being a tourist has come to connote being taken to pre-arranged events and to shops or locations where locals are well-experienced in dealing with foreigners, eliminating the possibility of spontaneity or sincere interaction with people. How can we change that? Markets, restaurants, shows, and, of course, major sights and museums should not be missed by those visiting our country, but by taking them to local places that are off the beaten track, rather than the usual "tourist" destinations, we would be offering them a Cultural Interaction Program. They would have the opportunity to interact with a large cultural cross-section of local people, providing a much richer experience. It has been my experience with cultural interactions that travelers find most interesting questions to ask of the locals. For instance, while we were chatting with a whirling dervish after a ritual, one of our travelers asked him what the average RPM (revolution per minute) of a whirling dervish would be. When I arranged for a Q&A session with an imam at a small village mosque, another traveler asked the young imam how he would relate Islam, the religion of peace, with suicide bombers. In truth, I have never seen a traveler who was not extremely happy with his/her travels in any part of Turkey. Turkey has so much to offer in this regard. At present İstanbul receives approximately 8 million visitors each year. The number of US travelers has increased relative to increased interest in Turkey and curiosity about Turkish culture. They first go to İstanbul, then to other parts of Turkey. The potential here is huge. 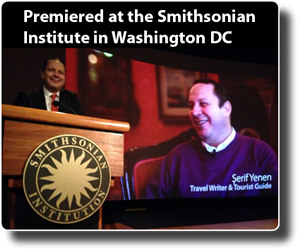 Within this perspective, as a writer and publisher of guidebooks about Turkey and Turkish culture, I am dedicating myself to the production of travel documentaries about the different areas of Turkey. The content is ready: the know-how gathered from 25 years of tourist guiding experience! Approximately 99% of visitors coming to İstanbul spend an average of two and a half days and see only the highlights: the Topkapi Palace, the Blue Mosque, the Hagia Sophia and the Grand Bazaar. We have to do much better than this. We cannot possibly ignore these highlights, but we want to avoid the beaten path of mass tourism and put the emphasis on showing the real İstanbul and real İstanbulians. We wanted to unveil and reveal İstanbul by way of the back door and project the philosophy behind the culture. We decided to interview a variety of colorful and interesting people from Turkish culture, from one of the richest women in Turkey to a masseur at a public bath and the best belly dancer in the country. 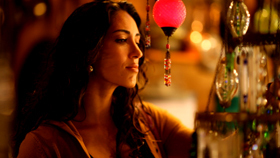 We searched for someone to do interviews and found an American actress with connections here through her Turkish family members:, Jessica Berkmen. Although Jessica has had much to be excited about with such early success in her acting career, she is overjoyed with her role in this project. After the shootings we asked her how she felt. She said she felt as though she were appearing in postcards! We knew what questions we wanted Jessica to ask of the interviewees, but we never knew what answers we would get. 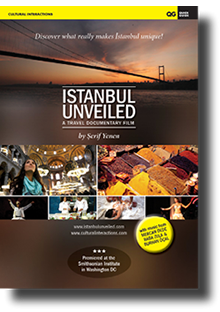 So “İstanbul Unveiled” is a documentary film that is part of a series, "Cultural Interactions". Other parts of Turkey and Turkish culture will appear soon. Before we finished making this one, we had started others.